A competent international registered nurse who holds a Bachelors Degree with Honours. 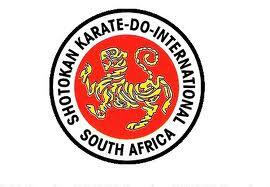 Obtaining these qualifications / registrations and having multiple nursing and private clinic managerial experience, this coupled with a black belt in karate and representing SA at the world champs makes me a well rounded individual. The ability to make sure that all nursing care which is delivered to patients at practices is of a high standard. Having a keen interest in developing improved healthcare, willing to work as part of a friendly team and a looking for an exciting opportunity to work full time.I have experience in relevant areas, including customer service, sales and acquisitions, stock control (including ordering and dispatchment) and health and safety, all of which has equipped me with the necessary skills to grow and work within a team. Was employed as The practice nurse at the Wellman clinic which is 1 of the most prestigious men's clinic in the world who specialises in all aspects of men's health mainly Testosterone Replacement Therapy. Dealing with international patients on a daily basis from elite backgrounds namely Lords, Sir's and celebrities. Responsible for managing the private men's clinic and overseeing that all treatment rooms are organised and appointments run smoothly. Assessing the nursing needs of patients and providing appropriate care/treatment in conjunction with the GP. Established in patient support including assessment, counselling, education regarding medications, treatment, lab work, documentation with care plan for discharge, and administration of treatment procedures. Computer skilled, managing heavy daily patient volume including telephone triage, appointment scheduling, medication ordering and stock take and patient referrals. Proficient in all documentation/record maintenance/paperwork to ensure accuracy and patient confidentiality. Working with other members of the multi-disciplinary team. In charge of reviewing and maintaining the clinics policies and procedures. Organising and running of annual flu clinics. Kept accurate records of medicines received/despatched, fridge logs, resus logs, etc. Ensuring doctors rooms are stocked daily with appropriate supplies. Taking medication orders (prescription and stock) from patients over the telephone and ensuring that they are ready for collection or despatch by mail the same day. Ensuring practice protocols and policies are updated when necessary in line with standards set by the Healthcare Commission. Assisted GP's with daily tasks as I was waiting for my Nursing and Midwifery council pin number to come through. During School Vacations I worked for the Public Relations Manager. 3rd year: General nursing, (McCord’s Hospital including Night shift. Administration of Intramuscular, Intravenous and other forms of medication. Assessed, monitored and participated in the evaluation and improvement of patient care. Prescribing non-prescription medication through the PGDs. Coordinating a team of nurses to ensure delivery of high quality care to patients. Assisting in various minor procedures. Measuring and recording routine observations of blood pressure, pulse, temperature, saturation, glucose and cholesterol. Interpreting and informing patients of results. Administrative duties including filing and record keeping. Reception duties including payment taking and billing. In charge of outpatient clinics. Delivered babies in South Africa. Was Lead nurse in the well baby nursery and maternity ward during night duty. Daily dressing and care of urinary catheters. CTG and ECG monitoring when required. Preparation of formula for babies using aseptic technique.